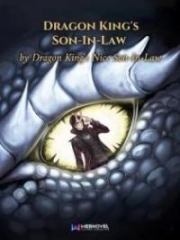 You’re reading novel Chaotic Sword God Chapter 149 - Meeting the Zhou Mercenaries Once More online at LightNovelFree.com. Please use the follow button to get notification about the latest chapter next time when you visit LightNovelFree.com. Use F11 button to read novel in full-screen(PC only). Drop by anytime you want to read free – fast – latest novel. It’s great if you could leave a comment, share your opinion about the new chapters, new novel with others on the internet. We’ll do our best to bring you the finest, latest novel everyday. Enjoy! Seeing the mercenary continuously bow his head, Jian Chen furrowed his eyebrows. These types of people were the ones he couldn’t stand the most. “Fiji, what are you doing, hurry up and get up! You’re throwing away our face, even if we die, that will be it, what use is there to fear?” Seeing that mercenary continue to bow his head down at Jian Chen, one of the other mercenaries couldn’t help but curse at him. The mercenary called Fiji who was kneeling had caused the rest of his mercenaries friends to look on at him with an extreme amount of disdain. Jian Chen looked at the mercenaries who were shouting at Fiji with some admiration. For those who clung to their lives so cowardly like Fiji, Jian Chen held them in contempt the most. “Do you have something to say still?” Jian Chen ignored the one who was bowing his head and looked at the other mercenaries. Hearing that, the mercenaries looked at each other with a sorrowful look of regret. They clearly knew that they were under Jian Chen’s mercy, but it was most likely that they would stay within the Magical Beast Mountain Range forever without being able to see tomorrow’s sun. “Whether you kill us or cut our flesh, do what you wish, there is nothing more to say.” A stubborn mercenary said firmly. Jian Chen had brought them to heel by using his fists and legs alone, this type of strength had caused them all to consider running away, but they clearly knew within their hearts that running away would have practically no chance of success. “I’ll give you all one chance to live. Hand over all of your Cla.s.s 2 Monster cores, and you may go. Otherwise, you will all die here. Pick now, I will wait for your decision.” Jian Chen said gently. Faced with that decision, none of the mercenaries hesitated at all. Immediately nodding their heads, they all obediently took out every single Cla.s.s 2 Monster Core from within their s.p.a.ce Belt and piled them all together neatly. Although they were all very reluctant to part with them, they weren’t stupid and knew that this wasn’t the time to be stingy. Jian Chen’s face slowly revealed a look of expectation; because of his cultivation, his monster core consumption rate was dozens of times or maybe a hundred times more than others. He had no other choice but try to earn more monster cores because of the glows in his dantian. He had been forced to give up using the World Essence to cultivate and now only relied on the monster cores instead. Not too long after the mercenaries had left, they immediately spread the news of Jian Chen’s whereabouts. Soon enough, Jian Chen’s position in the Magical Beast Mountain Range was well known by everyone. Quickly, every single mercenary and other parties of power began to rush over to try and overtake him. At this moment, Jian Chen was sitting in the area with no intentions of leaving. Sitting on a tree 30 meters away, he was completely concealed by the tree leaves with barely any parts of his body being visible between the gaps in the leaves. In this situation, it was very difficult to see him. Not too long after, a group of 40 mercenaries slowly walked into the area near where Jian Chen was sitting. All of them were wearing steel helmets with full body armor while being armed to the teeth. Not a single one of them looked to be in disarray, and instead looked to be very well trained. The moment Jian Chen saw these mercenaries through the gaps in the leaves, the name of a single mercenary group flashed through his brain. Immediately, a flash of killing intent could be seen in his eyes as his face grew serious. “Cras.h. 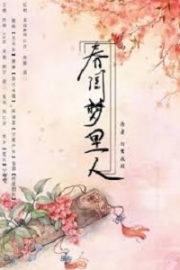 !.+” A sound came from within the leaves as Jian Chen leaped down from the tree top. Just as Jian Chen flew down from the treetops, the armored mercenaries below began to shout as each one of them pulled out a Saint Weapon at the ready to fight. Jian Chen’s feet kicked off the tree, causing him to fly 20 meters forward before finally landing nimbly on the ground right in front of the mercenaries. The front most armored mercenary stepped toward Jian Chen yelling for him to identify himself. Jian Chen’s solemn face looked through the group with a careful eye. It was a shame that he saw no familiar figures within the group, “You are the Zhou Mercenaries.” Jian Chen said, it was no question. “That’s right, we are the Zhou Mercenaries. Who are you, and why do you block our path?” The mercenary who was at the front slowly demanded. The Zhou Mercenaries weren’t weak, and could be considered to be within the top 5 mercenary groups within Wake City. Adding onto their affiliation with the Zhou Clan in Wake City, it had given them plenty of arrogance. Once he had confirmed their ident.i.ties, a large amount of killing intent emerged from Jian Chen in waves of energy. Without anymore words, Jian Chen took out his Light Wind Sword and began to charge at the Zhou Mercenaries. 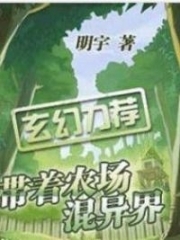 The last time Jian Chen had met the Zhou Mercenaries, they had came across a Cla.s.s 5 cub in the Magical Beast Mountain Range, Although the original members of that Zhou Mercenary group weren’t here, they had cost the Flame Mercenaries their lives and caused them to lose the Cla.s.s 5 cub. Plus, while running away from the Cla.s.s 5 Golden Fur Tiger King, if it weren’t for that member of the Zhou Mercenaries who threw the cub at Captain Kendall, the Golden Fur Tiger King wouldn’t have chased after the Flame Mercenaries. So the entire destruction of the Flame Mercenaries and the death of everyone in it could all be blamed on the Zhou Mercenaries. 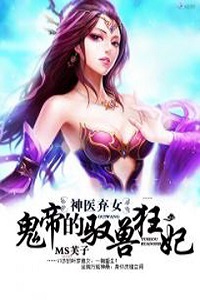 You're reading novel Chaotic Sword God Chapter 149 - Meeting the Zhou Mercenaries Once More online at LightNovelFree.com. You can use the follow function to bookmark your favorite novel ( Only for registered users ). If you find any errors ( broken links, can't load photos, etc.. ), Please let us know so we can fix it as soon as possible. And when you start a conversation or debate about a certain topic with other people, please do not offend them just because you don't like their opinions. 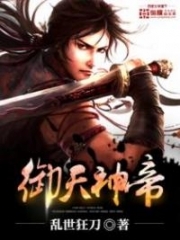 You're reading Chaotic Sword God Chapter 149 - Meeting the Zhou Mercenaries Once More. This novel has been translated by Updating. 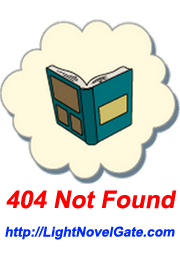 Author: Xin Xing Xiao Yao already has 12624 views. Current Time is Apr-24-2019 08:05:37 AM.